Potential 2020 presidential candidate Michael Avenatti is calling for a "full and complete FBI investigation" into Brett Kavanaugh, with impeachment on the line, to become a 2020 litmus test for Democrats. Why it matters: Jeff Flake just became the first Senate Republican to call for an FBI investigation, but on a more limited scale — and with no mention of impeachment. The only Supreme Court justice to ever be successfully impeached by the House was Samuel Chase, who was appointed by George Washington. The Senate failed to convict. Background: In light of our reporting that Democrats are already privately talking about the impeachment of Brett Kavanaugh as a 2020 campaign issue, I asked Avenatti today whether he thought impeachment should be a litmus test. “I did take the lead on my belief that the court should be expanded” to 11 justices, “and if he’s confirmed I absolutely believe that should be a litmus test” for 2020 Democratic Party candidates for president. “I think the expansion to 11 should be a litmus test and I think the other litmus test should be a full and complete FBI investigation, and if it is shown that Brett Kavanaugh perjured himself or committed any of these acts, he absolutely should be removed from the Supreme Court." The big picture: Democrats are dividing between "responsible restorationists," who seek a return to pre-Trump rules and norms, and "ruthless radicals" who want to go scorched earth to take down Trump. 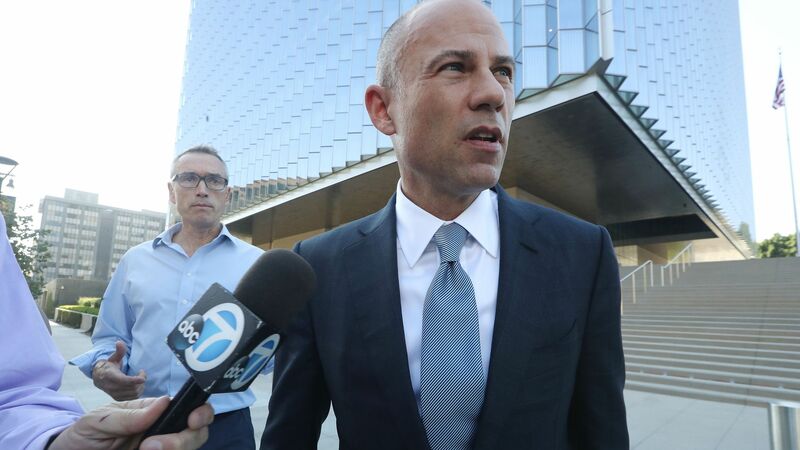 Avenatti is the tip of the spear, and is energizing Democratic audiences wherever he speaks, though several senior Democratic officials have told me they find his attention-seeking approach reckless and unhelpful.